This week, we lost a local radio broadcaster, a founder of the NJ Radio Museum, and a friend of many of us: Charles Blanding died after suffering a medical emergency at the Radio Technology Museum in Wall Township, New Jersey where he regularly served as a docent. Charles was the Chief Engineer for News 12 New Jersey from 2007 until his retirement several years ago. Prior to that, he engineered at USA Network and served as Chief Engineer at Lunar video. He also worked in New Jersey radio as an engineer and a disc jockey at WJDM and WPAT in the sixties and seventies. 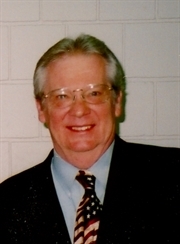 He lived in Cranford, New Jersey, graduated from Cranford High School in 1965 and received an Associates Degree in Electrical, Electronics and Communications Engineering from RCA Institute New York in 1970. In his retirement, Charles was an enthusiastic collector and restorer of vintage electronics, specializing in early transistor radios. He made several informative and entertaining technical presentations to the club since becoming a member a few years ago. He also curated a large collection of radio station airchecks dating back to the early 1960s and the dawn of the golden age of FM radio in the New York area. You can also hear some airchecks from his collection that feature Charles back in his radio DJ days: https://youtu.be/hw58WUMxEDU?t=50s. I am deeply saddened to advise of the passing, yesterday, of NJRM Co-Founder and Chairman Carl Van Orden at his home in the Poconos, as reported to me by his wife, Joyce Van Orden. It was Carl who was amongst the first with the vision that there should be a museum in tribute to New Jersey Radio, its inventors, innovators, talents and what it took to successfully compete with radio reaching the Garden State from the NYC and Philadelphia radio markets. Carl deserves credit for not only his pioneering spirit in the founding of New Jersey Radio Museum, but in assuring that NJRM would continue in an upward trajectory as membership grew, the collection matured and permanent museum space was secured to help us all tell the story of NJ radio history. For years, we have maintained a vibrant website and served as an expert voice when approached for historic NJ radio facts or for a seminar or lecture about the Garden State’s remarkable radio history which has not only touched but influenced the medium and the entire world around us. At present, details regarding any memorial activities for Carl are unavailable, although we are told by Joyce that our co-founder, Carl, was coherent and thoughtful as the end approached, and he wished most sincerely and deeply that it would not be an overly mournful occasion. As NJ Radio Museum President, I am hoping that we all join together in redoubling our efforts to move Carl’s dream forward to not only increase its on-line presence but secure permanent display space for not only our collection but functional interactive demonstration of what has made New Jersey radio unique over its 100-year history. Please join me in prayers for Carl’s widow and family. 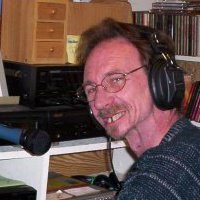 I’m pleased to report that your NJRM President, Rich Phoenix, will be heard as an AlbumZone Programme Presenter at http://www.radiocaroline.co.uk at 9:00 p.m. eastern time on Friday evening, 30 January 2015. This is the renowned England-based Radio Caroline on which the popular feature film “The Boat that Rocked” also known as “Pirate Radio” was based. Caroline was named by its founders after Caroline Kennedy to represent free radio for the new generation of the mid-’60s when most British radio eschewed the music of the popular “Invasion” groups that dominated the Stateside airwaves of the time. Caroline was amongst a group of “pirate stations” that set up shipboard radio operations in international waters and aimed and tailored their programming at the British Isles and the Continent. British lawmakers developed legislation meant to sink the “pirates,” Caroline included, but the operators of Caroline and many other such stations resourcefully found their way around the regulations and continued broadcasting for years. This generation of Caroline consists of many of the original shipboard air personalities from those times, and broadcasts are originated ‘round the clock in full stereo via the internet. Of the many on-line webcasters, Caroline maintains multiple robust streams receivable on many devices via a wide range of internet connections, from dial-up to all broadband services. Rich Phoenix, NJRM President, has been a fan of free radio for years, and originally signed on years ago with The AlbumZone, an on-line programme supplier/station operated by Johnny Reece from studios in London. AlbumZone has enjoyed a colourful history, originating broadcasts heard via stations in the US, France, Slovakia and Radio Caroline, itself, amongst others. AlbumZone’s recent history has included live on-line webcasts featuring programme hosts from the UK, Scandinavia and New Jersey with Phoenix, himself, serving as a Programme Host, live from New Jersey. These unique live on-line programmes have been met with great enthusiasm from the four corners of the world. Following Friday’s pioneering Radio Caroline webcast, the broadcast will be available on demand at the Mixcloud website. Happy listening, all – and thanks to AlbumZone and Radio Caroline for your belief in a Yank from New Jersey and the New Jersey Radio Museum! We are greatly saddened to report on the death of NJRM co-founder and General Secretary George Laurie. This website is dedicated to George and the sidebars have gone black in his honor. Our heartfelt prayers to George’s family and friends. Do you have archives of old photographs or vintage postcards? Are you knowledgeable about this unique aspect of New Jersey’s history? Would you like to help preserve your state’s fascinating history? State resident Rich Phoenix and President of the New Jersey Radio Museum is currently compiling a photographic history of New Jersey Radio and is looking for your help! He is assembling historic images of New Jersey Radio’s history and the stories that go with them to include in an upcoming book to be published by Arcadia Publishing, the nation’s leading publisher of local and regional history. To share your photographs and stories, please contact Rich Phoenix at rcquetzal58@att.net by December 15, 2013. Help keep local history alive! Fascinating story of hard working NJ/NYC Broadcaster, and NJRM fan, Bernie Wagenblast, who widened his talents to become something beyond the typical broadcaster. If you have ever been on the NYC subway, you have heard him! Check out the NY Times article. There was a time when subway announcements sounded like this: “Gxxrschhh krrtzzz … Borough Hall … pbbbftttz qmmm … suspended … haargggrm.” It was hard to tell whose voice that was. Or even if it was human. Now subway announcements sound like this: “There is … an uptown … local … 1 … train … to Van Cortlandt Park-242nd Street.” The voice is instantly recognizable on any numbered line but the No. 7. It is a chipper, crisp, slightly plummy tenor belonging to Bernie Wagenblast... (to continue reading, click the link below to get to NY Times article).